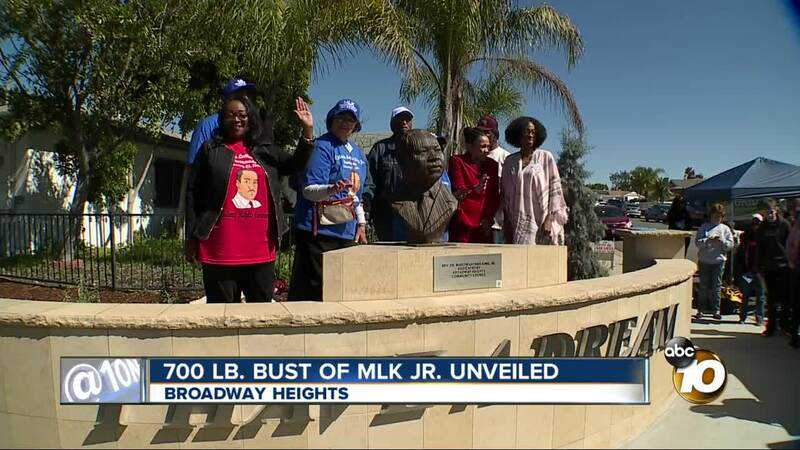 SAN DIEGO (KGTV) -- Local leaders unveiled a sculpture of Martin Luther King Jr. in Broadway Heights last Saturday. A ceremony was held in San Diego’s Broadway Heights neighborhood at Tiffin Avenue and Martin Luther King Jr. Way. The sculpture was formed from 68 individually cut plates of stainless steel and weighs 700 pounds. Attending the event were numerous San Diego leaders including Mayor Kevin Faulconer and Councilwoman Monica Montgomery.